THERE was one foxy customer down at Knaphill Village Show, and he helped to make the day pretty fantastic. 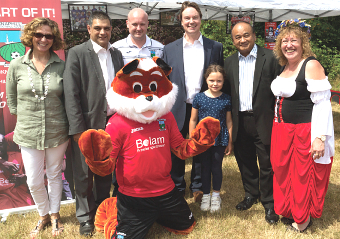 The summer fun down at Mizens Miniature Railway in Barrs Lane captured the imagination over the weekend, with local youngsters helping to name Knaphill Football Club’s new mascot. In the end they settled on ‘Fergie’, who quickly did the rounds to introduce himself to new friends, including young Katie Lord. 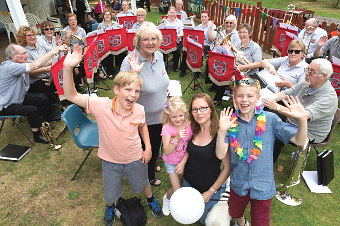 Hundreds of visitors feasted on live music from the Almac Brass Band, Stormy Waters and The Ukeaholics; a high-energy Dog Show; performances from the Morris Men and the returning Bellytricks dancers; plus enough ice cream and refreshments to feed an army. 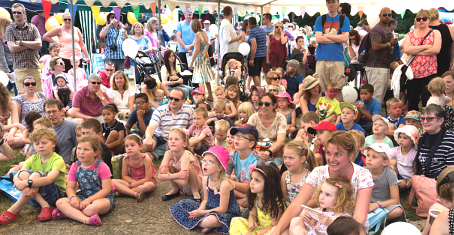 Funfair games and a Punch & Judy booth brought an inimitable English summer feel to the event.